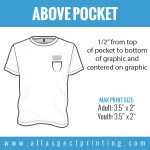 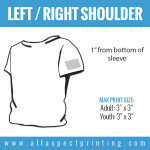 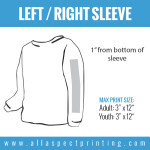 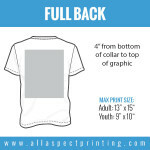 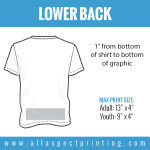 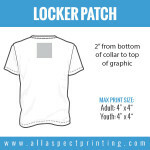 When screen printing apparel, it’s good to plan where you want the graphics printed on the garment. 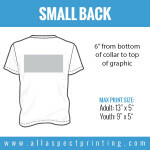 The cost of one location is considerably less than say, four locations. 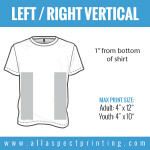 Print exactly where you want. 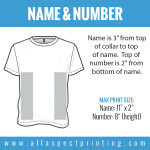 Choose from our variety of standard print locations or come up with your own ideas. 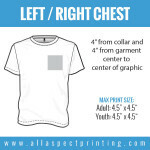 Below is a gallery of location options available, as well as, dimension specifications for each of the printing areas. 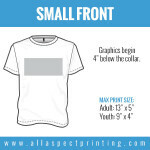 If you have any questions about the locations, please feel free to call 916-333-3271 or click here.